Auto wrecks involving Uber drivers can be especially stressful because it can be difficult to know if you need to seek compensation from Uber or the driver. Find out who to hold accountable by working with a Salt Lake City Uber car accident lawyer. Rideshare companies such as Uber are growing in popularity but present legal complications in the event of an accident. This is because Uber drivers are contractors rather than employees, so it is not always clear who is ultimately responsible for any given crash. 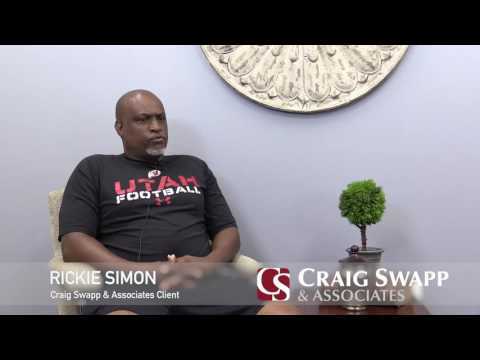 The likelihood of this confusion makes hiring a Salt Lake City Uber car accident lawyer from Craig Swapp & Associates important for reaching a successful outcome to your rideshare accident case. You can file a personal injury lawsuit against Uber or an Uber driver if you were injured due to their negligence. This applies whether you were a passenger, in another vehicle, or a pedestrian. As your injury attorney, we will investigate what happened to determine who should be named in your lawsuit. This includes gathering accident reports, witness testimony, photographs and video, and evidence from the crash scene itself. In particular, cell phone logs could be essential to determining whether Uber or the driver is who should be held accountable. Since Uber drivers are contractors and not employees, Uber’s insurance policy only kicks in when certain criteria are present. Uber drivers are required to carry their own insurance policy; however, personal insurance policies often have provisions banning “driving for hire,” making this a complex legal issue. When the rideshare driver either has a fare or is en route to pick one up, Uber’s commercial insurance policy is in effect. Once the fare is paid and the passenger steps out of the vehicle, it no longer applies unless the rider uses the Uber app to immediately acquire a new fare. Determining whose insurance is responsible for providing compensation after a car accident requires a thorough investigation. Your Salt Lake City Uber car accident lawyer will need to determine what the Uber app’s status was at the time of the wreck. We can maximize the amount of money you receive by ensuring that all accident-related expenses and non-economic damages are covered by your settlement. Non-economic losses can include any negative effects you’ve experienced because of the wreck, such as pain and suffering and emotional distress. Prior to filing a lawsuit, the negligent party must first be identified, evidence gathered, and an initial value placed on your rideshare accident claim. Once completed, we can prepare a demand letter and send it to the other party’s attorney or insurance. At this point, they will respond by agreeing to settle on our terms, making a counteroffer, or refusing to pay. A counteroffer gives us the opportunity to negotiate back and forth until a favorable settlement is reached. If this is not possible, we will present a strong case in court for why you deserve compensation. Working with a rideshare crash attorney is your best option for receiving full compensation for your injuries. You can discuss your case with an attorney from Craig Swapp & Associates during a free consultation by calling 1-800-404-9000 or by completing the contact form below.